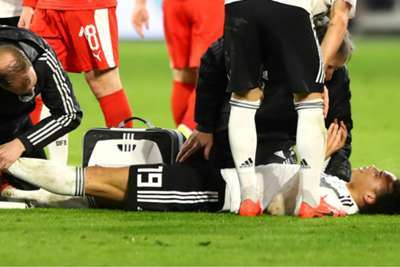 Germany head coach Joachim Low said Leroy Sane escaped injury after a dangerous tackle from Serbia striker Milan Pavkov. Manchester City's Sane hobbled off in worrying scenes as Germany salvaged a 1-1 draw at home to Serbia in an international friendly on Wednesday. Low, however, allayed injury concerns ahead of Sunday's Euro 2020 qualifier away to Netherlands in Amsterdam. "It was a very, very bad foul for such a test match, in the midfield," Low told reporters. "The opposing coach has also apologised to me that such a thing happened. On the tackle, Sane added: "The foul looked worse than it was, everything is fine with my ankle.